Rumor has it that Star Wars: Episode VII will go into production at Pinewood Studios in London, England this May. There are also new reports that suggest not only a production start date, but also that a majority of the film’s principal cast is already set. Of course, Disney and Lucasfilm have yet to announce any official casting, but now Harry Knowles of AICN says Jack Reynor has been cast in Star Wars: Episode VII. I’m hearing that Jack Reynor, a young Irish actor that will be in this new Bay TRANSFORMERS trilogy — but that I’ve now heard from two different sources has landed a role in EPISODE VII. No idea of what role. 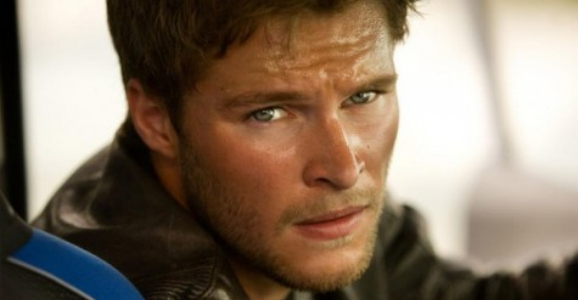 Jack Reynor can be seen this June in Transformers: Age of Extinction. He plays Shane Dyson, a race car driver who begins a romantic relationship with Tessa Yeager, played by Nicola Peltz. Michael Bay was quite taken by Reynor’s performance in the Irish film What Richard Did, so much so that the action director cast him in a leading role in the newest Transformers movie. Reynor also appeared in Delivery Man, the American remake of the Canadian film Starbuck, last year. I’m unfamiliar with Reynor’s work because What Richard Did is not readily available in the United States yet, but if Bay saw something special in the 22-year-old actor, that has to speak to his ability on the big screen. He’s the right age and has the right look to play Luke Skywalker’s son, who is rumored to play a major role in the new trilogy. Saoirse Ronan’s comments about “everyone” auditioning for Episode VII seem true enough. So far we’ve heard a ton of casting rumors, involving practically every male actor in Hollywood, including Alex Pettyfer, Zac Efron, Chiwetel Ejiofor, Michael Fassbender, Jesse Plemons, Jack O’Connell, Michael B. Jordan, David Oyelowo, Benedict Cumberbatch, Daniel Day-Lewis, Jonathan Rhys Meyers, and now Jack Reynor. I wonder if the new Star Wars movie will actually feature any women? 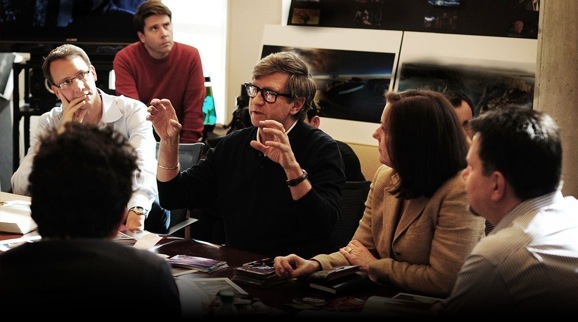 Meanwhile, there’s some concept art floating around that suggests the Millennium Falcon might be in Episode VII as well. The concept art appeared on Lucasfilms’ new website re-design, in an image that featured the studio’s executives and creative team in a meeting. The appearance of the Falcon in the new movie also suggests that Han Solo or Lando Calrissian might be in Episode VII as well.